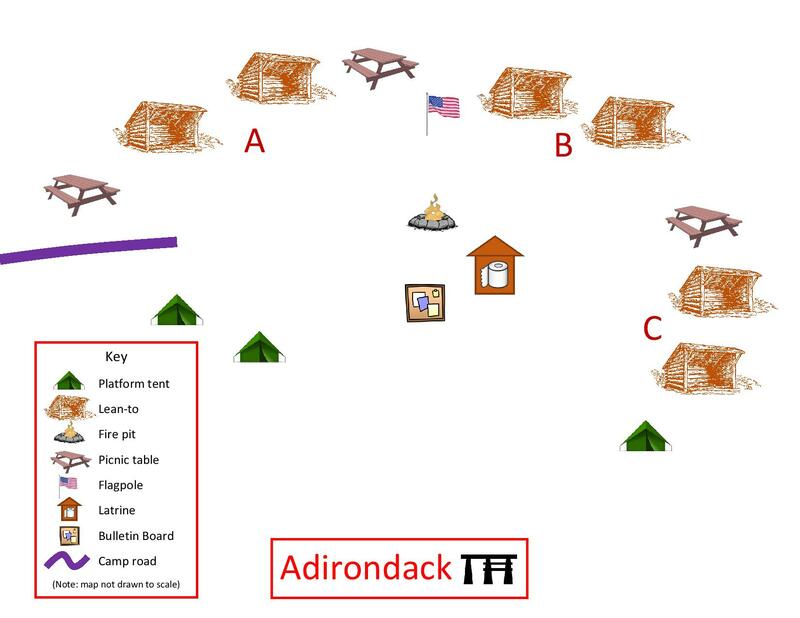 The smallest of our eight campsites, Adirondack is named for the six Adirondack-style lean-to structures. 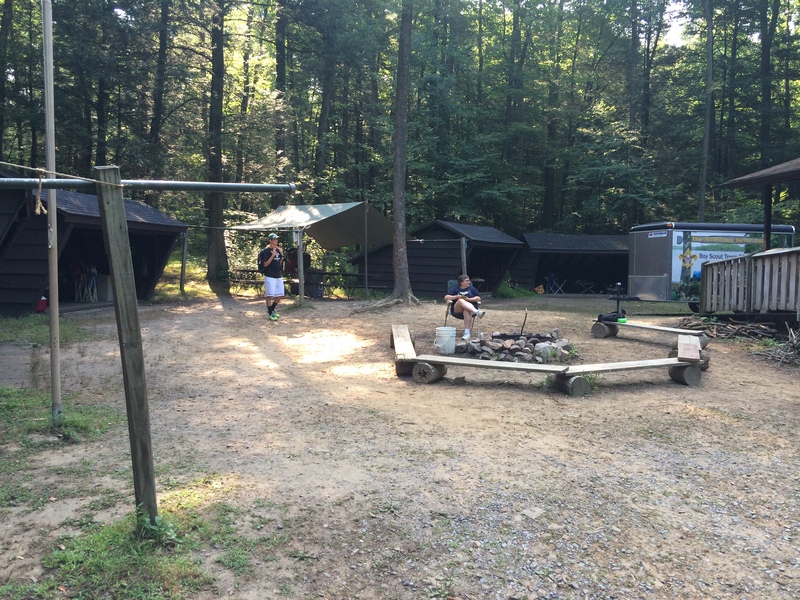 The site has a total three patrol sites, each one with two Adirondack structures and one platform tent, with a total campsite capacity of 30 people. Although all our sites have electricity and are fairly accessible by vehicles, Adirondack is our official handicapped-accessible site. Adirondack has the convenience of electrical outlets in the latrine.